Mount Vernon Triangle is located in the heart of downtown Washington DC, and has been on the rise since the turn of the 21st century. Though Mount Vernon Triangle is largely residential, it does offer some truly fine bars. Here are the best. 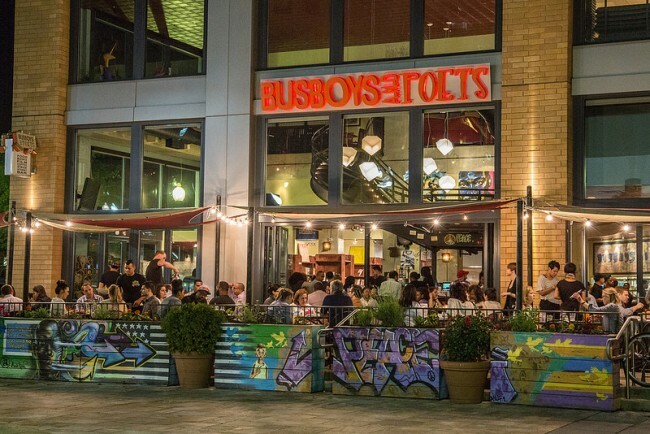 Busboys and Poets is a staple coffee house, restaurant, and lounge hybrid in DC. It identifies itself as a community gathering place. Here, customers of all racial and cultural backgrounds can feel welcome to meet and discuss everything from art to politics to current social issues. The place is named for the American Poet Langston Hughes, who once worked as a busboy in the 1920s. Busboys and Poets is a vocal member of the Mount Vernon Triangle community. It hosts regular open mic nights, poetry slams, and book clubs. During these events, Busboys and Poets offers discounted drink options as well as a fixed-rate open bar. Located in the Mount Vernon Triangle just outside of Chinatown, Mandu is a traditional Korean cuisine restaurant known for its family-run, home-style operation. Owner and executive chef Yesoon Lee, who was raised in Seoul, South Korea, ensures that only authentic, traditional and newly created Korean dishes are served. Mandu is a well-liked neighborhood favorite due to its cleanliness, inviting decor, and attentive waitstaff and bartenders. The more eager, early guests can enjoy great happy-hour deals from 4 to 7pm, including cheap dumplings, drafts, rails, house wines, and Sojutinis. Sitting in the heart of Mount Vernon Triangle, Silo offers new American cuisine with a French and Swiss edge. With energetic vibes lending to its hip and innovative ambiance, Silo offers 12 rotating craft draughts and 20 additional bottled selections. This is along with an extensive list of spirits and pre-prohibition inspired craft cocktails. In its industrial setting, Silo’s exposed brick walls, eye-catching wall art, and wooden fixtures make it a trendy nighttime hotspot for this DC neighborhood. The Rocket Bar is located just steps outside of Mount Vernon Triangle, and is the quintessential dive bar. It is known for its basement setting filled with down-to-earth people, cheap beer and simple, mixed drinks. Located across the street from the Verizon Center, the Rocket Bar is always crowded and lively, especially after a Capitals game. It offers three bars and a happy hour that runs everyday from 4 to 8pm. It also has a variety of bar games, including darts, pool, shuffleboard, and skee-ball. 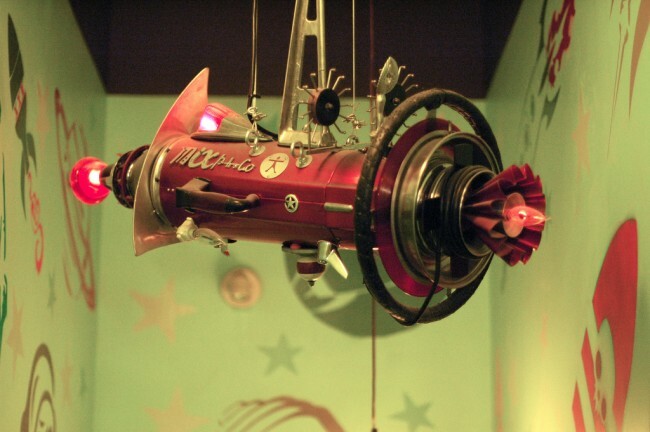 True to its name, the Rocket Bar’s walls and ceilings are decked out in outer-space themed paraphernalia. This utilizes its dark, underground lighting to the fullest. Philos bar is a trendy, upscale bar located on Massachusetts Avenue on the border of the Mount Vernon Triangle neighborhood. Philos specializes in comfort food with an international flair. It serves a rotating selection of wines, craft cocktails, and both imported and domestic beers. The interior is decorated in warm earth tones, featuring ambient lighting and copper accents, making for an inviting spot. Philos also offers house red and white sangrias. These are the perfect drink to sip on in this elegant, Mediterranean-styled bistro.